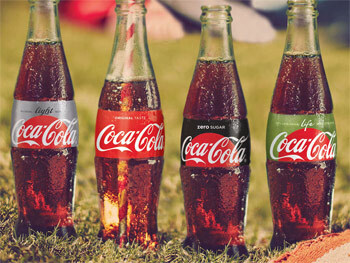 A key part of the ‘One Brand’ strategy is the rebranding of its variants, namely Coca-Cola Original, Coca-Cola Light, Coca-Cola Zero and Coca-Cola Life. In South Africa the first phase of the One Brand strategy kicked off with the launch of the ‘Enjoy the Feeling’ campaign that established the brand’s new positioning and included all the Coca-Cola variants in the communication. This new brand positioning combines both the intrinsic benefits of the taste and refreshment with the extrinsic brand values of optimism and authenticity. The campaign launched in March 2016 and used universal storytelling and everyday moments to connect with consumers around the world. It featured the product at the heart of the creative and celebrated the experience of drinking any ice-cold Coca-Cola. The second phase of the One Brand strategy launched this month with a full campaign that establishes the Coca-Cola trademark and highlights the new packaging graphics which feature the iconic Coca-Cola Red Disc more prominently on all variants. The aim behind the new design is to ensure a single visual identity system which features Coca-Cola Red as a unifying colour. To help consumers identify the different products, the signature colours of each variant will be featured throughout the packs: black for Zero, silver for Light and green for Life. Included in the new look and feel are the unique benefits of each variant on the front of the pack. This ensures consumers are able to choose their preferred Coca-Cola for that moment. During September, the brand will be launching Coca-Cola Life [Ain’t seen nothing, yet? Ed]. This is the Company’s first reduced-kilojoule sparkling beverage sweetened with cane sugar and stevia leaf extract, and it contains 37% less sugar than Coca-Cola Original. This variant will be rolling out in stores and retailers in Johannesburg, Cape Town, Durban and Port Elizabeth from mid-September 2016. For more information about Coca-Cola’s global One Brand Strategy, visit www.coke.co.za.